Chatty Belle lives in a nicely landscaped area just next door. 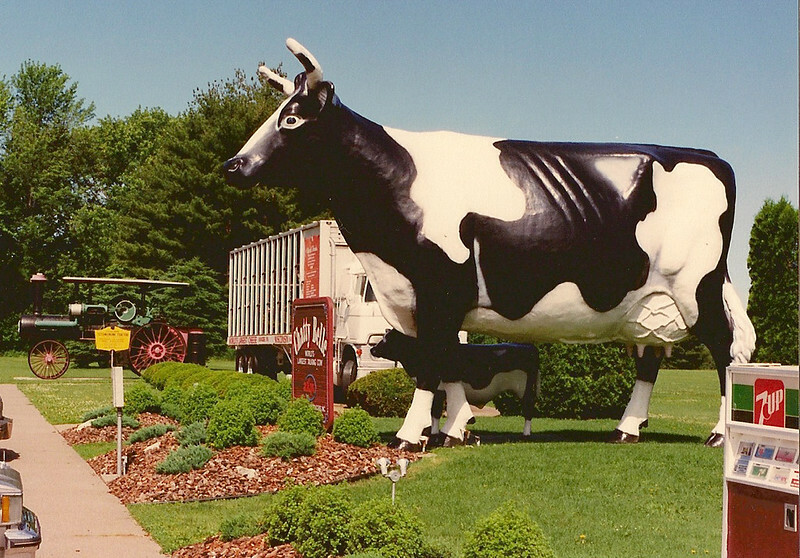 For the nominal sum of 10 cents, Chris and Sean listened to Chatty Belle's dairy lecture. Chatty Belle's son, Bullet, is a mute. 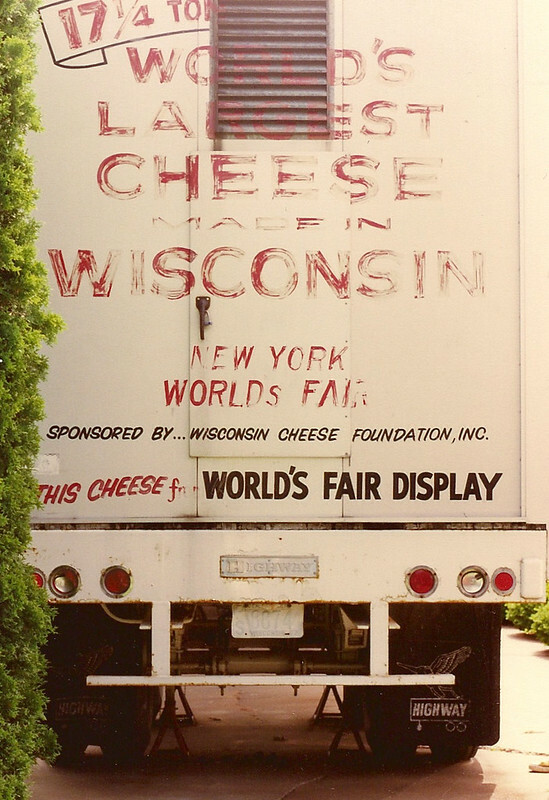 This truck hauled the World's Largest Cheese from Wisconsin to the New York World's Fair. 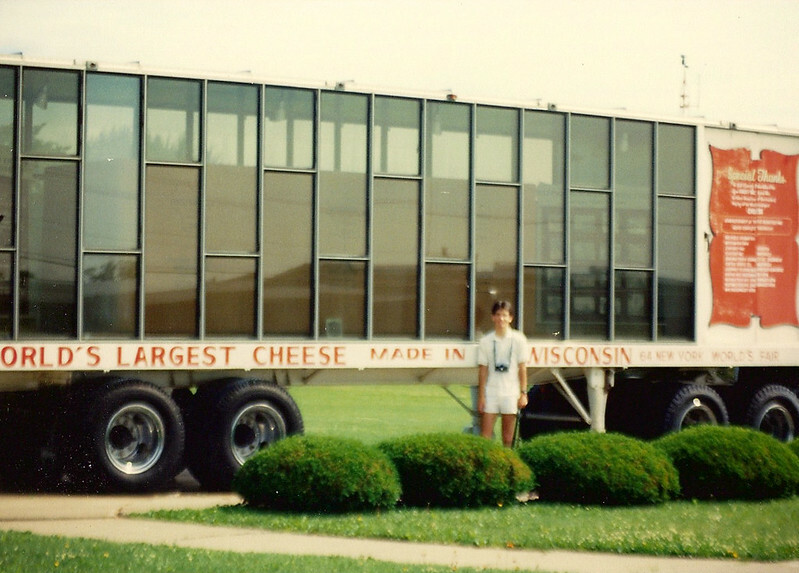 A replica of the World's Largest Cheese sits inside the original shipping truck. 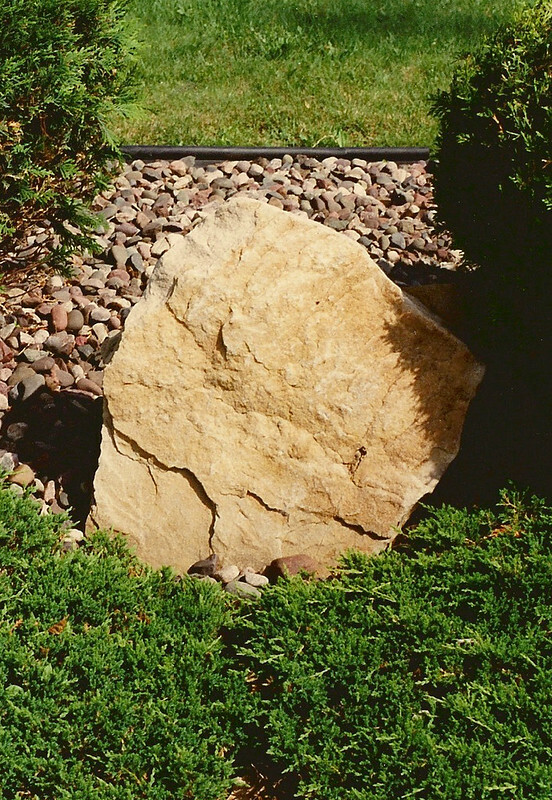 A rock on the premises that is said to resemble the shape of the state of Wisconsin. "I am the person who named Chatty Belle. 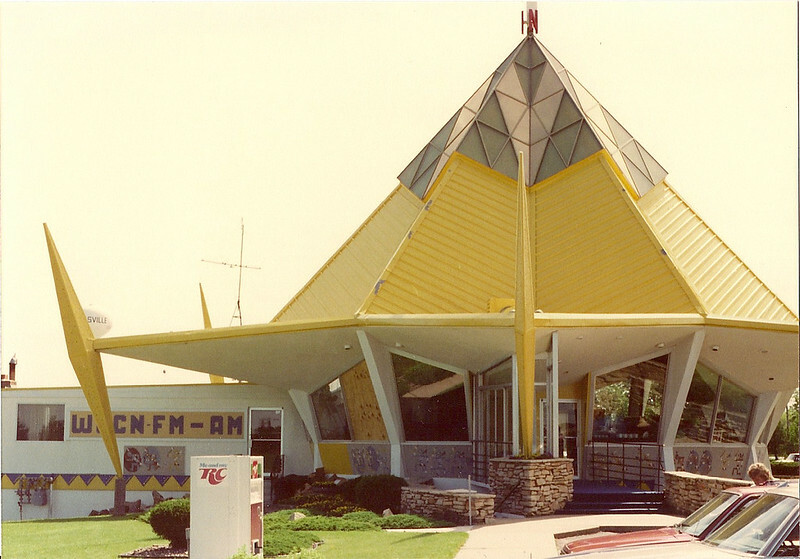 Back I believe in 1966 there was a contest and the person that named the cow in the contest won 100 lbs of butter and a trip through the Grassland Dairy Cheese Factory. Howey Strutz (spelling?) was a part of this and I saw him last year and he remembered my name from this many years ago. I told him I was who named Chatty Belle and he said 'Jody Hartl' My picture is in the basement of the Neillsville Pavilion along with my family. 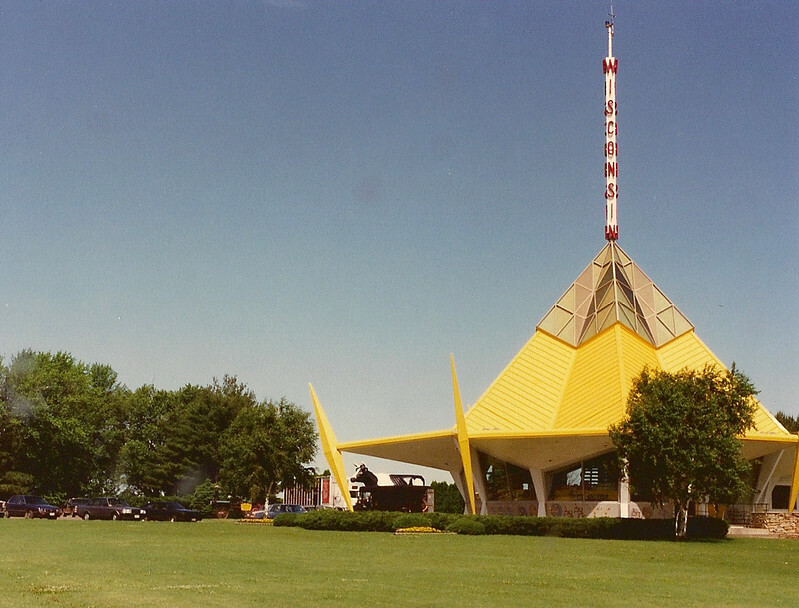 It was a big 'doing' back then and I remember it like it was yesterday. I was in the 1st grade and because it was such a big event, the teacher had a radio going because they were going to announce over the radio who won. They said my name and I started crying because I thought the 'trip' through the cheese factory was a trip far away and I would have to leave mom and dad. 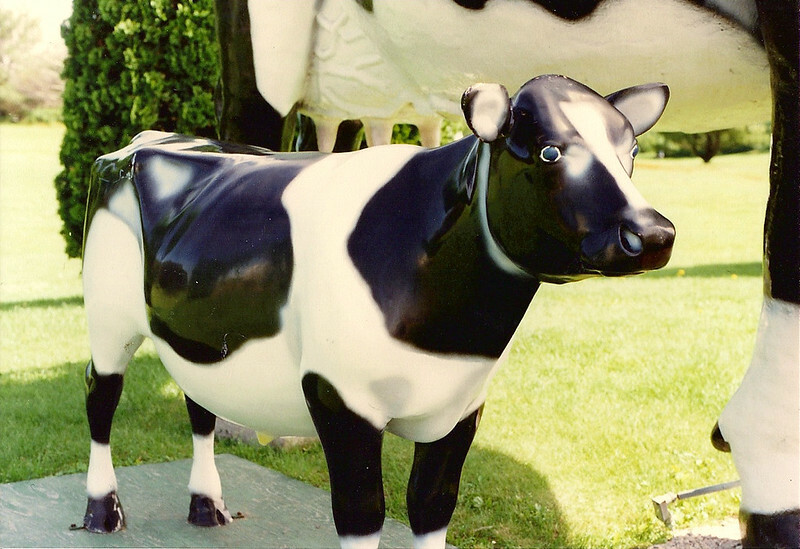 hehe When the contest came out, my mom got my sister a form and she put down 'Buttercup' as the cow's name. Well, I wanted to be in the contest too and put up a stink until mom went and got a form for me. Me and mom thought up the name together. 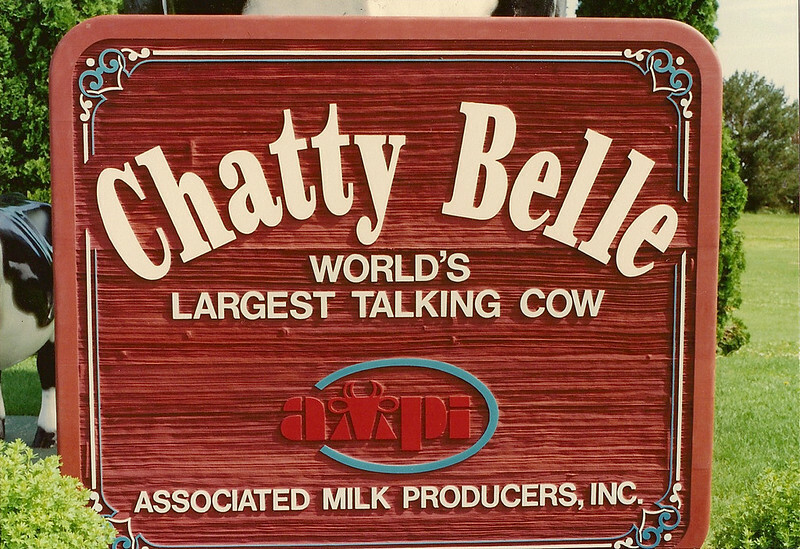 Since the cow talked, Mom said 'Chatty' and I thought that cows wore bells so we came up with 'Chatty Belle'. I'm sure it was more my mom than me who thought up this name but I was the one who was listed on the contest form so I got all the recognition. I just had to email you and tell you this story. You can check this info out if you'd like. 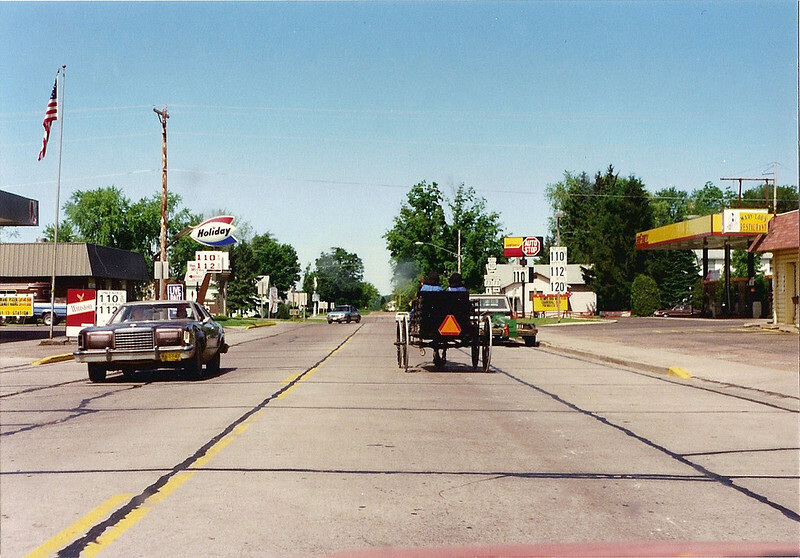 My name at that time was Jody Hartl and I was from Loyal, Wisconsin.